It’s an original 2007 Fiat Bravo CD radio. It only takes 2 steps to remove it, and you can install a new unit in the car. Though the removal is easy, the installation may be complicated to you if you are a layman. To make sure the new unit can work well in the car, you are recommended to ask a professional car stereo upgrade staff to do the upgrade. If you insist to do it yourself, you should ask a professional for help, too. The following are removal steps for your reference. Before the upgrade, remove the negative cable on the vehicle battery to ensure security. You should prepare 2 release keys for the upgrade, too. Find out the two slots in the radio panel and insert the two release keys in them and hook the unit tightly. Then, pull the keys to drag the unit out of the dash gently. 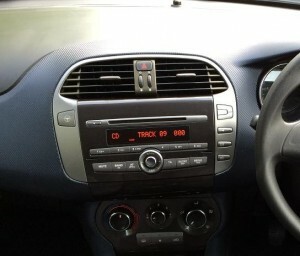 After you took the unit out of the dash, remove the release keys from it and disconnect the cables at the back of it. Then, put the unit away. The installations of different units may be different. You should follow the wiring diagram from the dealer and connect the wires. If you don’t have one, you should ask a professional for help. If it needs a wiring harness adaptor, connect the adaptor to the original wiring harness first, then, connect the adaptor to the new unit. If it doesn’t need a wiring harness adaptor, just connect the unit to the original wiring harness. If the new unit comes with antennas, you should install them correctly, too. Then, test the new unit. Please refer to the user manual at the first time you use it. If you meet problems, first check the wires connections. If the problems still exist, you’d better ask your dealer for help. 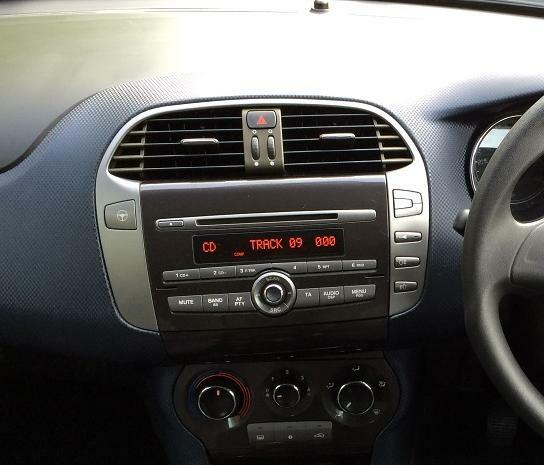 In most cases, it won’t take you too much time to upgrade the Fiat Bravo CD radio. Wish the removal steps above could help you. This aftermarket OEM GPS DVD player has 7 inch touch screen. It has built-in navigation system for 3D maps. You can set routes and go wherever you want to. It has mini USB port and SD card slot for media files from external devices. You can enjoy video, photo, music and so on. You can upgrade software by this function, too. It has night mode to play music in the background to protect drivers from driving at night. It also supports steering wheel control, Digital TV, Bluetooth hand free and so on. Please make sure you pick all the optional functions you like before you order it. After you get the unit, please check all the accessories and wires to make sure everything is all right. Wish you enjoy shopping and enjoy every minute when using the unit in your car.